Thursday is push day. It’s the day the AMO team gathers on IRC, figures out what’s going out and sets it loose on the world with the push of our Big Red Button. A lot of the time, we don’t push anything too exciting for users — it’s mostly big backend changes or minor bug fixes. This week, however, we pushed two important features; both done by Chris Van Wiemeersch. So, as you type, you’ll instantly see the add-ons with names that match your search query. If you hit <Enter>, you’ll be taken to a search results page as usual. You can go straight to an add-on by using your up/down arrow to select an add-on before hitting <Enter>. There’s a little trick for you keyboard fans out there — hitting “s” on any AMO page will focus your cursor on the search box so you can just start typing. Developers can indicate which add-ons are required in the Technical section of the Edit Add-on page in the devhub. Much like search suggestions, add-ons are suggested for the developer as they type. Would it be possible to have the dependency information as metadata in install.rdf (specifically, em:requires)? The pre-rewrite addon manager supported this; even though it no longer does (that I’m aware of), it might still be nice to have that in there so developers can put that information in version control. Any chance of bringing back advanced search? Ken, none of those features are off the table. We recently successfully moved to a new, faster search system, and as a result only have the most popular search facets implemented. As time goes there will likely be more powerful additions to the new search- ajax loading of results for faster browsing, for example, is coming soon! I’ve emailed webmaster@mozilla.org & and got a reply from Terry to encourage me to submit my suggestions and idea’s here. Continued from my sent email. I believe the addons site needs an overhaul. For example, use categories for the addons. Really great addons that are buried underneath or between the total of all addons are hard to find. How about, add tags and put addons in it own naming group. Like e.g. Addons for UI Change should be under Addon UI Adjustment or something in that sort, Addon Tools > Development, Addon Security > Security. There are a few particular addons that I found 3 years after they were created, never knew they existed because they are buried in between 6,914 addons/extensions because either they were not featured or popular & they are being buried underneath the rubble by featured and popular. 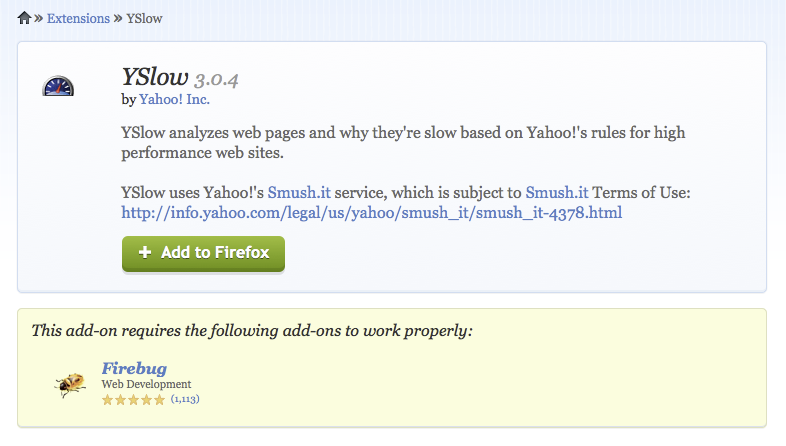 Mozilla aught to do something about this. Using most popular, featured, newest is great and should stay as is. But there must be an added organization to the addons/extensions as well. Themes aren’t a problem as there are only a few. I know you might say, use the search box, but that is senseless if you don’t what you’re looking for, and something that you don’t know that exists. Search box is great for a quick search for something that you already know of. Just a few ideas imo that should/need to be implemented into the Firefox Addons/Extension site. Of course this is Open Source after all, and this is what Open Source is based off of, other peoples imaginations & ideas. Hope Mozilla takes my ideas into strong consideration. Thanks for sharing your ideas with us. We do organize Add-ons by categories and tags, and your suggestions are included in our Appearance, Privacy & Security, and Web Development categories. You can see them on the left hand side of http://addons.mozilla.org, as well as on the category landing pages. You can see associated categories and tags on the right hand side of specific Add-ons pages. Please let us know if you come across Add-ons that can be better tagged or organized, and we’ll be happy to take a look. It sounds like you’ve discovered some great Add-ons that you think the community should know about. If you’d like to become more involved in helping people discover them, we encourage you to apply to be a part of the Featured Add-ons Advisory Board. It’s one of the ways our community helps each other discover fantastic Add-ons! Is there any chance the dependencies to be installed autmotically ? like it’s made for apt-get install ! Hi Karimus, thanks for your suggestion. It is a good idea and it’s something we may consider implementing in the future. Gregory Koberger is a front- and back-end developer for addons.mozilla.org. You can view his portfolio at gkoberger.net, or follow him at @gkoberger.